Server Installed - Migrate the GeeDee Data Files? Below is the list of folders required to copy from the old Server to the New Server. NB: Do not forget to run your Workstations installs on your remaining PCs! *Check with your client if they have any lookup data that they might wish to transfer. 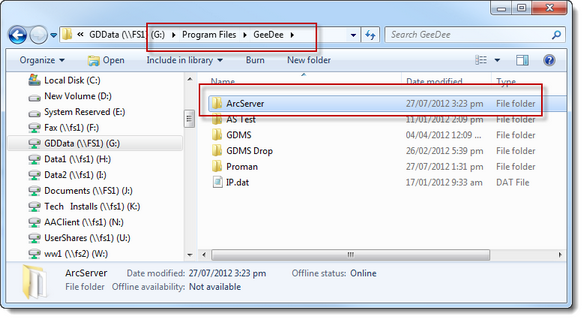 GeeDee Licence files are also required to be copied across from the old Server to the New Server. 1. 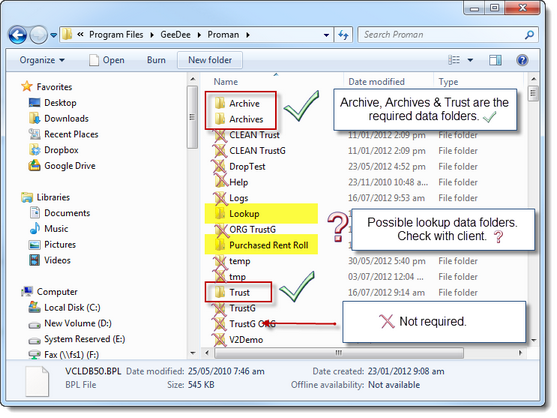 For new SERVER INSTALLS at existing client sites DO NOT simply copy folders to new SERVER and hope that it works. Like all software products it requires installation. EXPECT ISSUES IF YOU IGNORE! 2. For new SERVER INSTALLS at existing client sites please re-run the Workstation Installs on each GeeDee PC. This will update any required registry settings and more importantly it will perform a communications test back to the new server. EXPECT ISSUES IF YOU IGNORE! 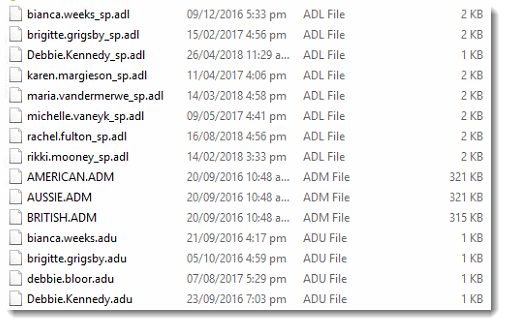 If there is a \ArcServer\ folder is located in the \GeeDee\ folder, please also migrate across after you have installed and run your New Server install. 3. For new SERVER INSTALLS at existing client sites DO NOT simply copy folders to new SERVER and hope that it works. Like all software products it requires installation. EXPECT ISSUES IF YOU IGNORE! 4. For new SERVER INSTALLS at existing client sites please re-run the Workstation Installs on each GeeDee PC. This will update any required registry settings and more importantly it will perform a communications test back to the new server. EXPECT ISSUES IF YOU IGNORE!